Skylark Blog: The Best Advice for Surviving Divorce: Remember the Serenity Prayer! The Best Advice for Surviving Divorce: Remember the Serenity Prayer! 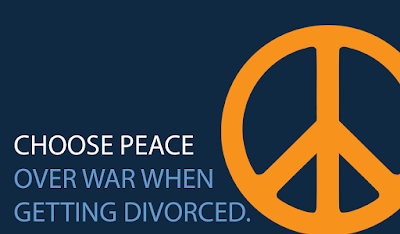 In a divorce case, you do not have control over what your spouse does. You can ask the court to make orders that limit or direct certain behavior, but those orders are still only pieces of paper. Violations of those orders will have consequences, but that process can still be time consuming and often frustrating for clients. When that frustration takes hold, it is important to remember that you do not control what other people do, but you do control your reaction to what they do. When you want to react to the problems your ex is creating with their behavior, have the courage to respond appropriately and take the high road. Too often frustration over bad behavior leads to more bad behavior between spouses. Especially in cases with children this feedback cycle can be destructive. Having the courage to be the better person, even when it is hurtful to your pride or frustrating, will ultimately help you find more peace with a bad situation because you are taking control over the things you can change: your own behavior. When you are unsure of how you should act or react in your divorce case, take advantage of the wisdom of others and the resources available to you. Attorneys, counselors, and family support are all people that can help provide you with perspective on your actions and reactions. It is understandable given the grief involved in ending a marriage that spouses will often react emotionally at first. But taking the time to understand those emotions, and seeking objective assistance when needed, will provide you with the wisdom to separate out frustration over things you cannot control from decisions about how you should proceed with the things you can change.